Every wedding reception is different, and every couple wants something specific. Sometimes it’s a small affair with only close friends and family; sometimes it’s a massive party with an extensive guest list; sometimes it’s fancy and traditional, sometimes low-key but classy, and sometimes it’s downright weird! Whichever specific style may appeal to you though, one thing worth giving some thought to is how to make it feel uniquely creative, even within all the variance just described. The following ideas by no means encompass all of the potential ways to design a creative reception. They might get you on the right track however if you’ve been trying to think of a way to set your party apart from the average wedding. As one site put it, lounges have become a much favored element in wedding reception décor, and if you spend some time looking through wedding albums online (where they’re publicly available of course) you’ll likely see a few photos that remind you of the idea. It can take many forms and embrace various decorative styles, but the idea is to have a comfortable place for people to sit and talk, or take a break from dancing. So many receptions have only the same chairs people dine in to sit in all night, and a lounge can be a wonderful change, and a simple way to do something your guests will greatly appreciate. For those who make a point of keeping up with wedding trends, this suggestion won’t come as much of a surprise. You can find hundreds of examples across the internet of people playing beach games at wedding receptions these days, by which we mean corn hole, ring toss, and in some cases even badminton! It’s a great way to provide some entertainment aside from dancing, and while it spreads things out a little bit it’s unlikely to involve more than a handful of guests at any one time, making it something of a win-win. Casino gaming is not unpopular at wedding receptions, and it’s likely to be appreciated by a number of your guests thanks to its growing presence in the world. It’s true that brick-and-mortar casinos are somewhat old fashioned now, but as an Irish gaming resource describes, the thrills of those casinos have spread to desktops, laptops, and mobile devices, such that they’re familiar to hundreds of millions around the world. You can bring those games to life at your wedding by hiring a few dealers and bringing in a few gaming accessories (tables, slot machines, etc. ), and get a gaming corner going during the celebration. Basically, it’s an alternative to the beach game idea. 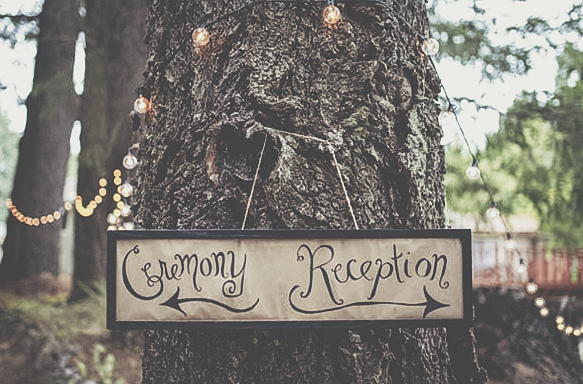 Decorating is a huge part of planning a reception to begin with, and the overall aesthetic will be up to you, and possibly a wedding planner or decorator you hire. However, you can also have a lot of fun letting your guests do their part for some of the smaller touches. For instance, you might experiment with tablecloths that can be drawn on, with drawing accessories at each table; you might have a table full of floral arrangements to allow each table full of guests to make their own centerpiece. There are all sorts of specific creative ideas you can embrace en route to letting your guests decorate. Food truck wedding catering is actually becoming somewhat trendy, along the same arc as food trucks in general. The typical idea is to swap catering and dining options for food trucks entirely, giving guests choices and making the whole dining experience more interactive and communal. However, if you prefer a more traditional wedding meal, you can also explore the idea of bringing food trucks by at the end of the reception or after party, when some of your guests may have worked up an appetite all over again!